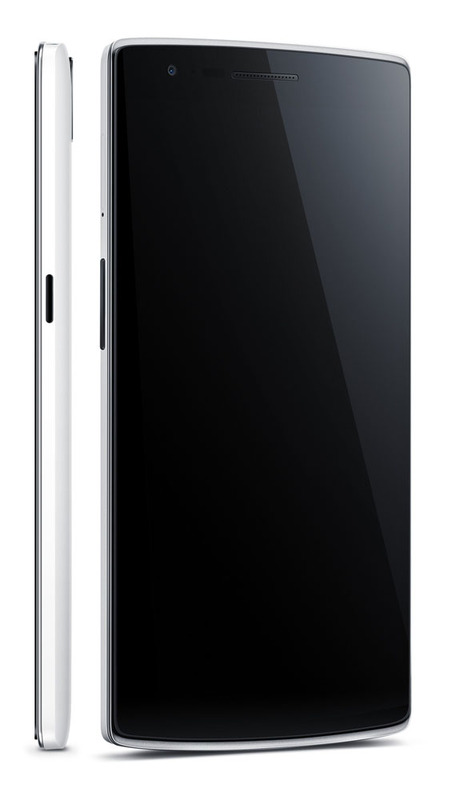 Not to be confused with HTC’s One, the One by OnePlus has been unveiled, featuring an impressive set of specs to better the Nexus 5 and even the latest flagships by Samsung and HTC. Even more impressive is the One’s price, starting at $299 for the 16GB model while a whopping 64GB model is available for just $50. Even further, the phone runs a mostly-stock version of Android by way of CyanogenMod, so Android updates should be fast and modders should have a blast with this one. The phone’s unlocked to be used on nearly every GSM carrier, including AT&T and T-Mobile here in the states, completely compatible on both. Availability is currently set for sometime in Q2. 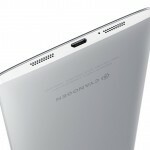 You’ll find the launch press release below, full list of specs, as well as a photo gallery below. 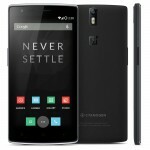 BEIJING – April 23, 2014 – Following months of anticipation, OnePlus today revealed their flagship device, the OnePlus One. 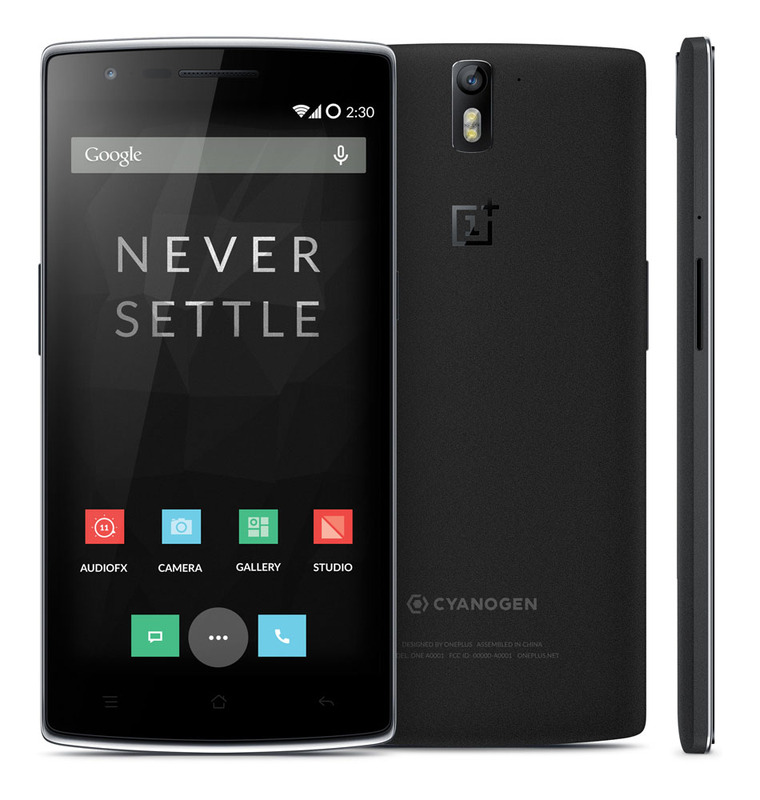 Embodying the OnePlus motto of ‘Never Settle’, the OnePlus One boasts industry leading design, superior build quality and top of the line specs at a disruptive price point. 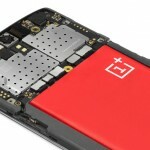 “By paying attention to the smallest details, taking a holistic approach to product design, and working with the best partners such as Cyanogen Inc. and Qualcomm Technologies, we have been able to create the greatest day to day user experience in a smartphone without compromise,” said Pete Lau, CEO of OnePlus. 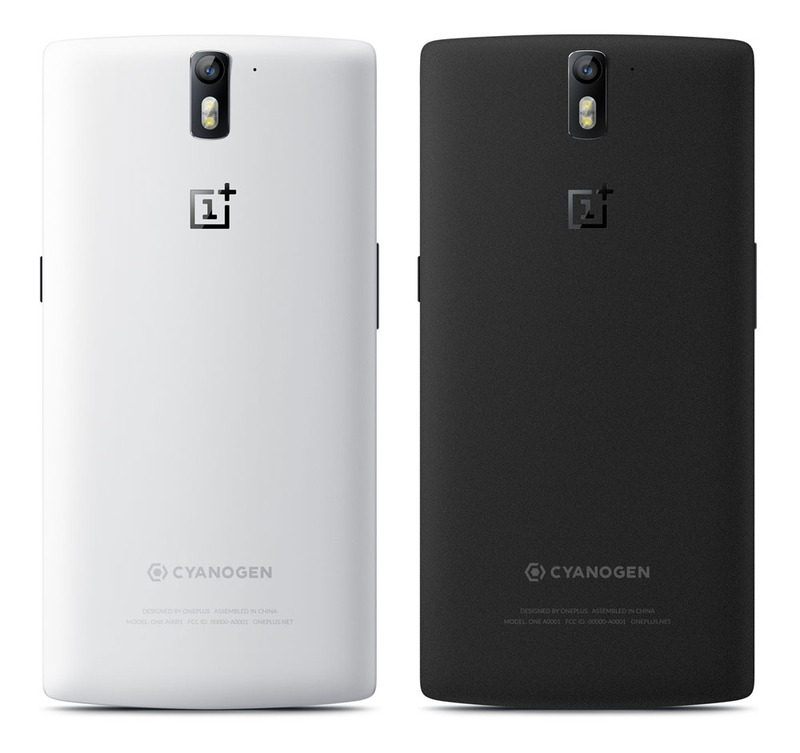 The OnePlus One was designed to be beautiful, timeless and comfortable in the hand. 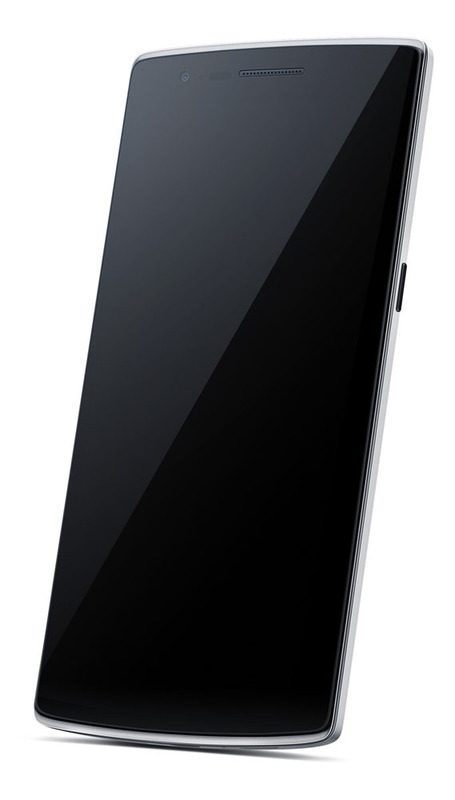 Embracing this design language, the One features subtle curves, sleek lines and a slightly raised, jet-black display. 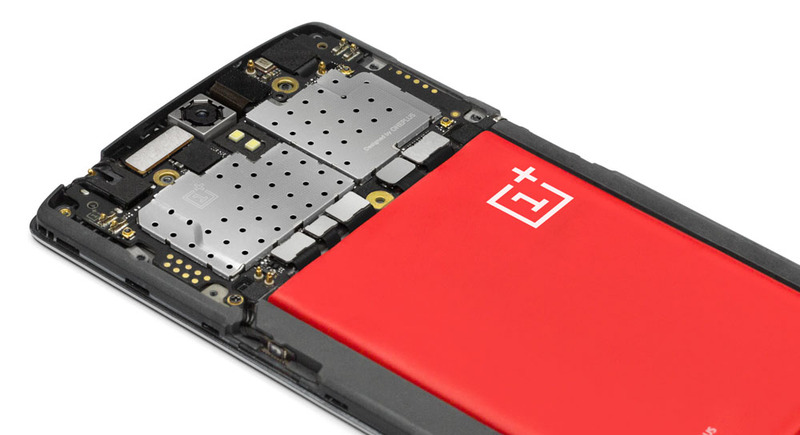 Even the smallest details belong uniquely to OnePlus, from the custom cut and engineered PCB boards to the specially designed battery and dyed inner casing. 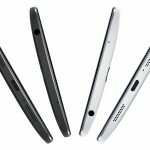 Each component is meticulously aligned and adorned with a OnePlus logo for a gorgeous device inside and out.Measuring only 8.9mm thick, the OnePlus One is ergonomic and easy to grip, with a tapered edge of just 4.6mm. 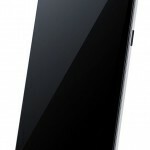 Debuting with the One is CyanogenMod 11S, a special release tuned to take advantage of everything the One has to offer. CyanogenMod 11S reveals the first phase of a unique visual experience blending the best of Android with the freedom CyanogenMod is known for. Unlike most OEM skins, there are no limits to customizing your One – mix and match thousands of themes or return to stock with the new theme engine and store. Advanced Camera and Gallery apps make capturing and viewing memories even more fun. Record your world in perfect detail with 4K video. Then relive it from the cloud in Gallery, organized by your life. Championing privacy has been a core part of CyanogenMod’s purpose. SMS encryption between your One and CyanogenMod or TextSecure-compatible device means chats stay between friends. Privacy Guard keeps nosey apps at bay by helping you control how they use your data. 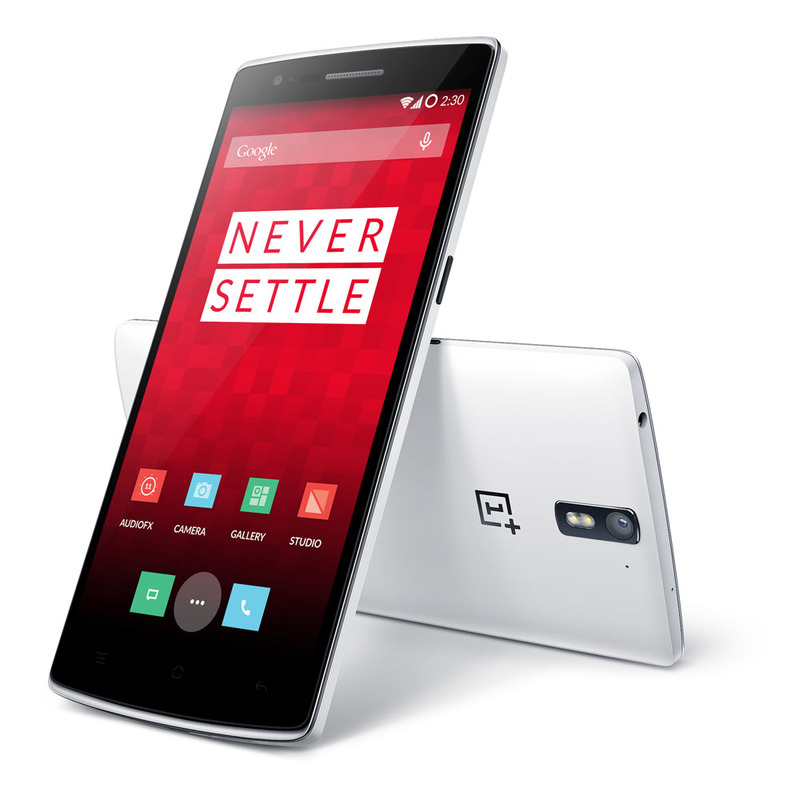 The OnePlus One is powered by the Qualcomm® Snapdragon™ 801 processor with quad-core CPUs at speeds of up to 2.5GHz per core, making it the world’s current fastest available processor in a smartphone. Custom Krait CPU architecture, integrated 4G LTE connectivity, Qualcomm® Adreno™ 330 GPU and 3GB of LP-DDR3 RAM combine to offer a fluid and lightning quick user experience. 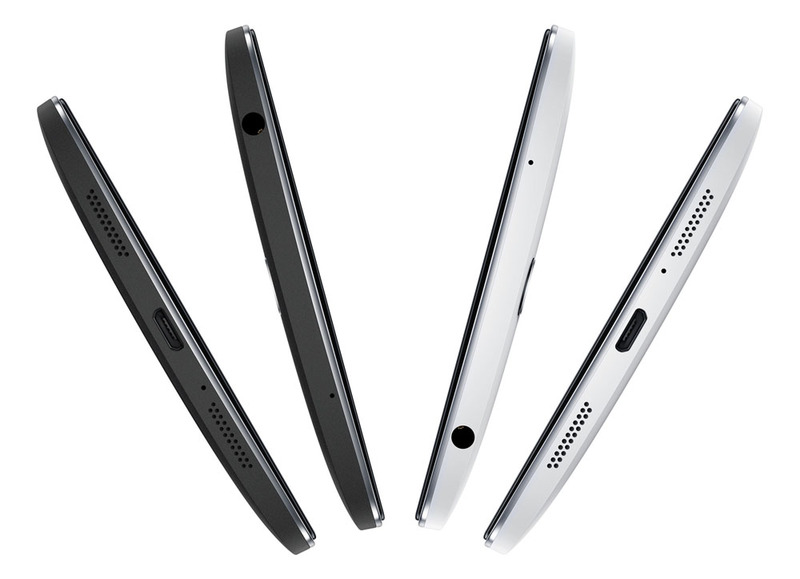 A 3100 mAh battery and energy efficient display work together to power the OnePlus One for more than a full day of use. 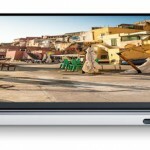 The OnePlus One packs a 5.5″ 1080p full HD JDI screen. LTPS and TOL (Touch On Lens) technology provide an incredibly sharp picture and make the gorgeous 178 degree vision display significantly more shatterproof. A Sony Exmor IMX214 13 megapixel camera with f/2.0 aperture and dual LED flash delivers amazing shots day or night, made more precise and detailed by the 6 physical lenses. Even selfies are more beautiful with a 5 megapixel distortion free front-facing camera and extra wide 80 degree capture angle. 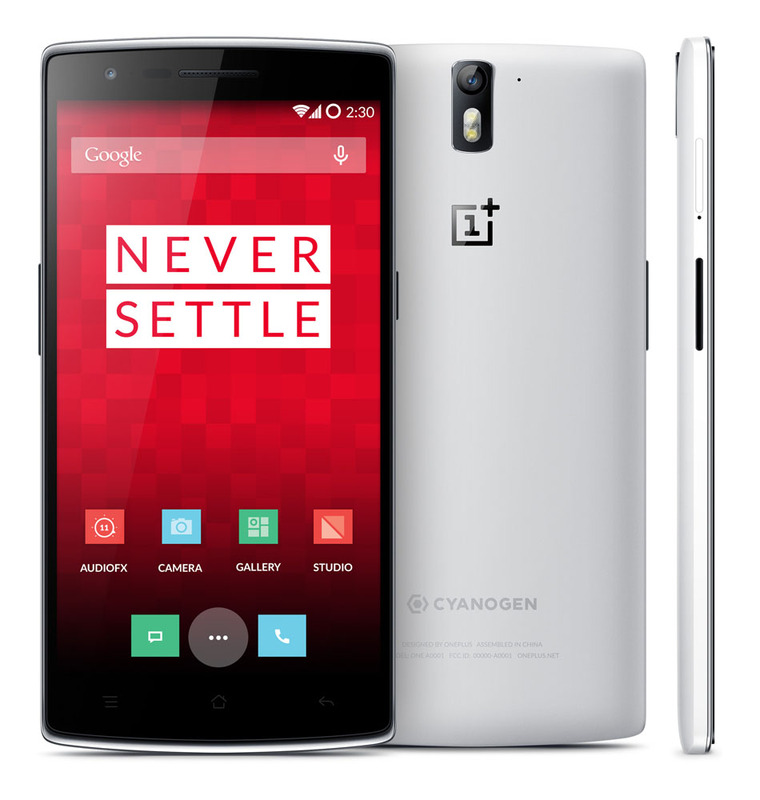 The OnePlus One is more than just amazing hardware. Uniquely engineered software offers features that you really want and simplifies your user experience without adding extra, unnecessary bloat. Voice command lets you wake the device or you can launch your favorite apps by drawing pre-set gestures on the sleeping screen. 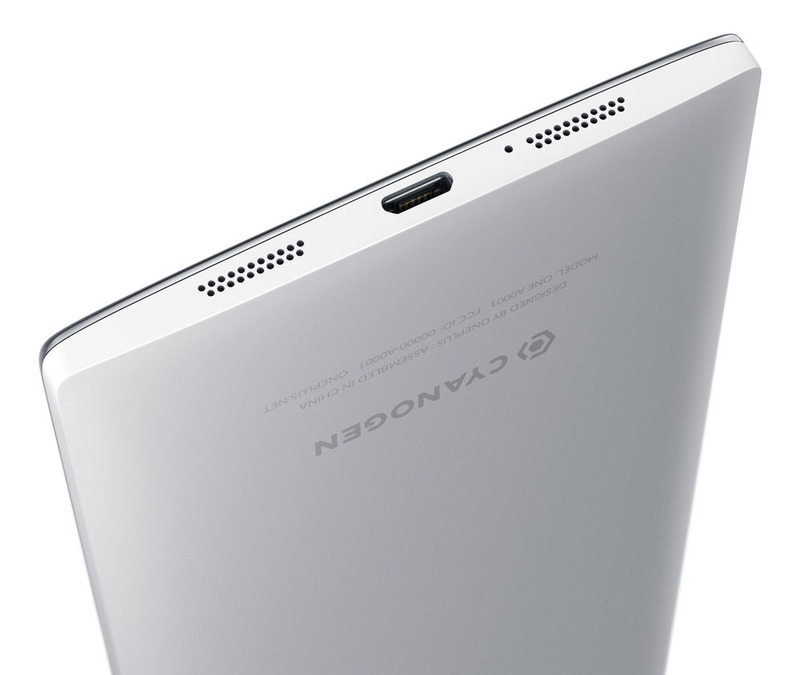 Choose between on screen and capacitive navigation buttons to suit your preference. 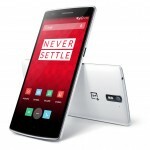 The OnePlus One will initially be available in Austria, Belgium, Denmark, Finland, France, Germany, Hong Kong, Italy, Netherlands, Portugal, Spain, Sweden, Taiwan, United Kingdom, and the United States in 16GB Silk White for $299/€269 and in 64GB Sandstone Black for $349/€299. The first 100 OnePlus Ones will be available through the OnePlus Phone Smash, starting April 25th. 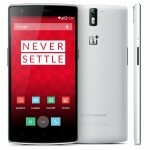 OnePlus fans can go to oneplus.net/smash to apply to smash their current phone in exchange for a OnePlus One. 100 lucky applicants will get the very first 100 OnePlus Ones for just $1 as well as the ability to invite their friends to buy the OnePlus One.